If an external ECU interface is attached to the serial port of the DASH2 PRO then the Variable Source section must be set up to expect this variable to come from the serial port rather than from the internal sensor. From the configuration software click on Variable Source. 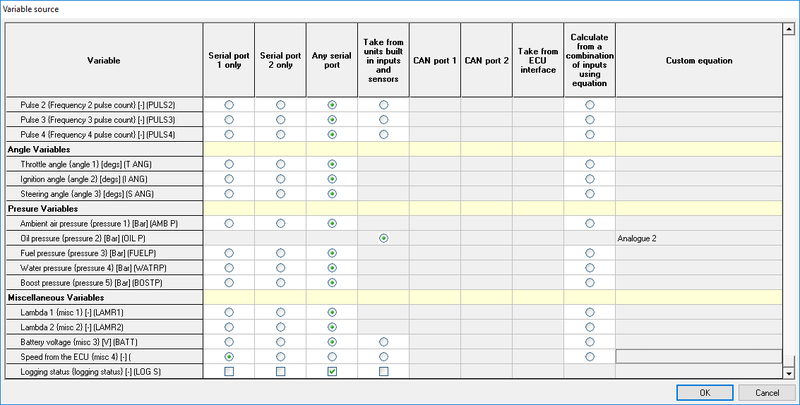 Scroll down to the bottom of the list and tick the relevant button for the serial port to which the ECU interface is attached. The Speed from the ECU can now be displayed on the screen or logged to the memory card.